From the bustling streets of Cape Town to the towering cliffs of Blyde River Canyon, South Africa is quickly becoming a must-visit destination. But with so many South Africa tours and safaris to choose from, where do you even begin? We’ve compiled this list for those looking to get a taste of South Africa and its incredible diversity. So without further ado, keep your hands and feet inside the safari truck, and brace yourself for the wild beauty that is South Africa. The Garden Route is one immense scenic route that spans cape to cape – from Cape Town in the west, to Port Elizabeth in the east. The climate of The Garden Route is similar to Hawaii’s, and the lush green landscape is punctuated by rising mountains, rivers and lagoons of all sizes. And the biodiversity – this area is home to over 300 bird species. If you enjoy viewing wildlife in their natural habitat, then you’ll have the chance to visit any of the 10 Nature Reserves along the route. The Garden Route also boasts many unique marine reserves. You’ll want to visit these reserves to see some of Africa’s most incredible marine life – soft coral reefs, seals and dolphins, and even the endangered Southern right whale can all be spotted here. The Garden Route also plays host to many of South Africa’s natural wonders – not the least of which are the dramatic Cango Caves. 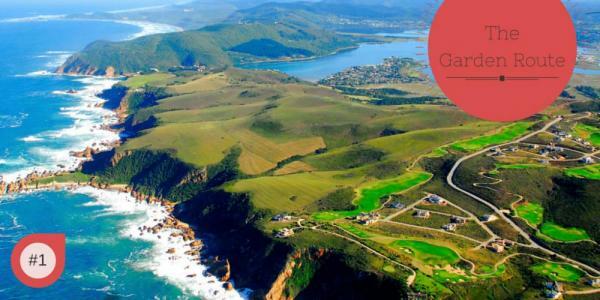 So if you’re up for a little bit of everything wonderful, The Garden Route is a must-do South African tour. 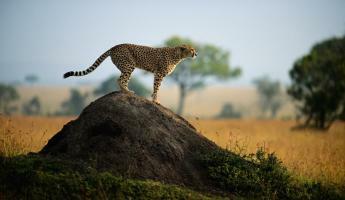 There is a reason why many South Africa tours include Kruger National Park on their itinerary. It is the pinnacle of the African wildlife experience, the Crème de la crème, the one game reserve that all lovers of wildlife must visit. (If you haven’t seen the viral video Battle at Kruger, then you’re in for a treat. Don’t worry there’s a happy ending). Kruger is the oldest of Africa’s reserves and home to more species of big mammals than any other reserve in all of Africa. The park’s footprint sprawls across 7,500 sq. miles of varied terrain and ecosystems in the North East of the country. While at Kruger, you’ll have the option to self-drive through the park or participate in a guided safari. The traditional, open-air safari vehicles are always a good bet, and allow you to keep your eyes on the landscape. Try your luck in spotting the wild members of the “Big 5” – The lion, elephant, Cape buffalo, leopard, and rhino. And if you’re lucky, you’ll have the opportunity of witnessing the thrilling chase of a live hunt. Kruger National Park has many authentic South African lodges where you and your family can unwind after an action-packed day on safari. Also, there is no shortage of good places to eat and drink around and within the park. All things considered, I recommend you jump at the chance of visiting Kruger National Park while in South Africa. You’ll leave a better person. Cape Town, affectionately referred to as the Mother City, tops the South Africa list when it comes to diversity. 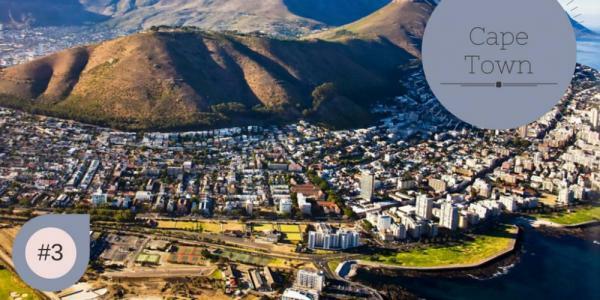 The second most populous city in South Africa, thriving Cape Town is considered to be one of the most multicultural hotspots in the world. The New York Times placed Cape Town in the #1 seat in their recent report 52 Places to go in 2014. Cape Town sits cradled beneath the iconic Table Mountain. Visitors can stand awestruck beneath the impressive plateau, or lace up their boots and get hiking. Lion’s Head, part of the Table Mountain National Park, is another short hike and affords stunning views of Cape Town and both the Atlantic and Indian Oceans. That’s right, two oceans for the price of one. And if colliding oceans is something you’re into, then head 60km South to Cape Point, the south-westernmost point of the African continent. There you’ll be delighted to see the exact point at which the two oceans meet. You’ll also have the opportunity to see wild zebras, eland and even baboons. Head North again to Robben Island. Here you can step inside the jail cell that held Nelson Mandela captive for 18 years. Learn about the apartheid struggle and the tumultuous years that won’t soon be forgotten by the people of South Africa. From Robben Island you can bring it back into the heart of the city where you’ll tour the lively streets and enjoy shopping, world-class cuisine, local history and authentic South African accommodations. Whatever your passions, Cape Town will not disappoint. This gem of a natural wonder can be found on South Africa’s Panorama Route – the same route that hosts the Pinnacle and God’s Window. The impressive Blyde River Canyon is one of the world’s biggest canyons, and is perhaps the single deepest “green canyon” on Earth. From the cliff edges to the valley floor, the canyon is blanketed by verdant, subtropical vegetation. Blyde River Canyon was aptly named by a Dutch expedition party of the mid 1800’s. The expedition went awry, but somehow the group found its way. When they finally stumbled again upon the familiar canyon, they named it Blyde, which means “happy” in Dutch. Make no mistake though; this “happy” canyon is preeminently wild! Throughout the valley can be found crocs and hippos, and all five of South Africa’s primate species – from Chacma Baboons to Samango Monkeys. 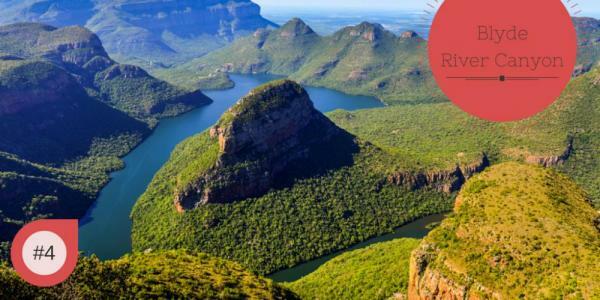 So if you’re one for sweeping vistas, grandiose mountains and primordial river valleys, then put it on your list – Blyde River Canyon – and visit your happy place while touring South Africa. The city of Durban is said to be the busiest of all port cities in Africa. And with a sub-tropical climate, the beaches of this South African gem are among the best in the nation. The Durban “Golden Mile” is the city’s main attraction. The Golden Mile stretches along the golden sands of some of the best surfing in the country. Because of the high concentration of sharks in the area, lifeguards and shark nets protect beachgoers as they soak in the sun and sea. Intrepid shark enthusiasts can venture beyond the nets and enjoy underwater, deep-cage shark encounters. In fact, people from around the world are discovering Durban as a shark-viewing hotspot. The city of Durban is now doing everything in its power to develop this great white-knuckle attraction. Durban’s impressive beaches and world-class surf is certainly a major draw, but the city has also emerged as a cultural stronghold in South Africa. A visit to Durban will find you strolling through the lively streets and admiring the Art-Deco architecture. You’ll meet wonderful locals (Durbanites) who pride themselves on their progressive, trend-setting lifestyle, but won’t ever rub it in. 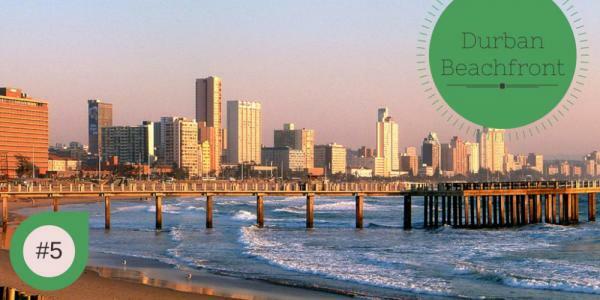 Visit Durban and be smitten by this surprisingly beautiful city. Stalactites, stalagmites and stalagnates...oh my? If you’ve never hear of these curiosities, you’re not alone. The fact is most of the world has never heard of, nor seen the jaw-droppery that is Cango Caves. 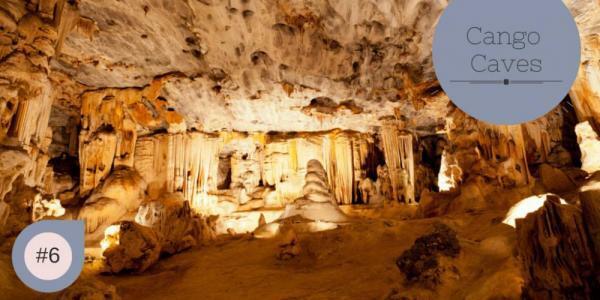 Cango Caves is located along The Garden Route, not too far from a town by the name of Oudtshoorn. The vast labyrinth of limestone chambers, tunnels and passageways has piqued the interest of several top cave experts. And how could it not? The network of underground caves goes on for over 4 kilometers, and visitors to this magnificent place are only able to explore some of the caves with an experienced guide. The tours offered have something for everyone. You can choose the hour long Standard tour, or spring for the Adventure Tour that will have you squeezing through tight passageways and climbing up mountain-like cave formations. So why not tap into your inner caveman, or cavewoman, and make this stop along The Garden Route. You’ll be glad you did. If you’re a lover of great wine, art galleries, horse-and-carriage rides, or butterflies (c’mon, who doesn’t like butterflies? ), then a tour of Cape Winelands is in order. This region of South Africa is located just north of Cape Town and has earned the title of Culinary Capital of the country. A favorite destination for artists, writers and photographers, the Cape Winelands offer a healthy blend of modern comforts with idyllic scenery. The endless vineyards beckon visitors for an evening stroll, with glass in hand, while taking in the fresh air that swirls around the rolling hills. Savor locally-made cheeses, olives and the nation’s finest organic fruit. 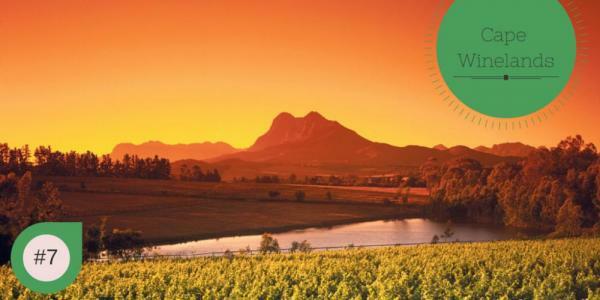 Visit the Franschhoek valley – I heard it through the grape-vine that some of the best wine in Africa is bottled here. If you’re up for a bit more adventure, then take heart. The Cape Winelands is home to a lion park and a crocodile park. 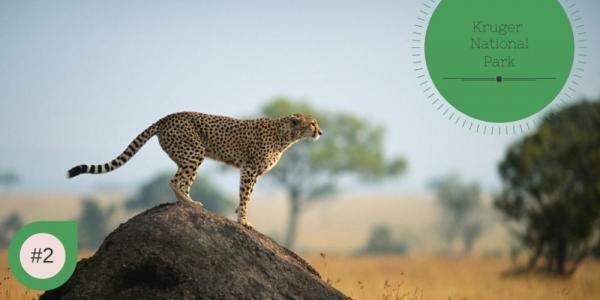 You can also hop on a helicopter for a tour of the surrounding mountains, take a ride in a hot-air balloon, and even get up-close and personal with the fastest animal on Earth at a Cheetah Sanctuary.